Mr. Xiangyang GAO graduated from Beijing University in 1997 and received a Master`s degree in Business Administration in 2004. Mr. Gao joined ICBC in 1997, and was appointed as Assistant President of Fujian Province Branch in December 2012. Mr. Gao served in several positions including Senior Staff of HR Department, Deputy Chief of division, Chief of division of International Business Department of ICBC Head Quarter, Vice President, President of Ningde Branch. He served as General Manager and Board Member in ICBC Turkey from 22.05.2015 to 24.07.2018. He has been serving as Chairman of Board of Directors and President of the Credit Committee since date of 24.07.2018. At present, also he is concurrently the Chairman of the Board of Directors of ICBC Yatırım Menkul Değerler A.Ş. Mr. Shaoxiong Xie graduated from Xiamen University Department of Finance/School of Economy in 1990 and received his Master’s Degree in Business Administration (EMBA) from Hunan University in 2010. 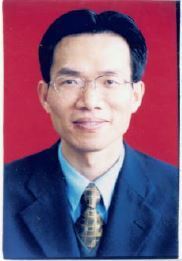 Mr. Shaoxiong Xie started to work at Industrial and Commercial Bank of China Limited (ICBC) in 1990 and worked respectively as Customer Manager/Branch Manager in ICBC Hunan Branch between September 1990 – November 2010, as Deputy General Manager in ICBC Malaysia between December 2010 - December 2016 and as an expert in ICBC Hunan Branch between January 2017 - October 2018. Mr. Shaoxiong Xie has been appointed as General Manager of ICBC Turkey on 29.11.2018 and he has also been serving as Board Member and Vice President of Credit Committee. Mr. Peiguo Liu graduated from Shandong University of Finance and Economics – Investment Economics Management Program, and recieved a master’s degree from Beijing University of Technology – MBA Program. He joined ICBC in 1996. Mr. Liu served in several positions including Asset Management Department, Asset Risk Management – Monitoring and Inspection Department, Risk Reporting Department, Operational Risk Measurment Management Department. Then he came to Turkey as the member of the Tekstil Bankasi Project Team, then he appointed as the Coordinator of General Secretariat in ICBC Turkey Bank A.S. He has served as a Member of the Board of Directors since 02 January 2017, presently he also serves as a Member of the Credit Committee. Mr. Peiguo Liu has been appointed as President of the Audit Committe on 24 July 2018. At present, he is also concurrently a Member of the Board of Directors of ICBC Yatırım Menkul Değerler A.Ş. Mr. Zheng has served as a Member of the Board of Directors since May 22nd 2015, presently also serves as a Member of the Corporate Governance Committee and a Member of the Remuneration Committee. Mr. Zheng served as Deputy Chief of divisions in State Development Bank Head Quarters, Deputy Chief of division of the Supervisory of the Key State-owned Financial Institutions of the State Council, Board of Supervisors Office of Agriculture Bank of China. Mr. Zheng joined ICBC in 2002 and served in several positions including Chief of division, Supervisory Commissioner, Deputy General Manager of the Board of Supervisors Office, Senior Specialist in the Strategic Management and Investors Relations Department of ICBC Head Quarters. He graduated from Tianjin University and University of York, and received two Master`s degree in Industrial Management and Finance respectively. Ms. Wang has served as an Independent Member of the Board of Directors of ICBC Turkey on May 22nd 2015, presently she also serves as a Member of the Audit Committee and the President of the Remuneration Committee. Ms. Wang joined ICBC in 1989, and was appointed as Specialist of the Strategic Management and Investor Relations Department ICBC Head Quarters. Ms. Wang served in several positions including Deputy Chief of division of International Business Department, Chief of division of Audit and Supervision Bureau, Internal Audit Bureau, Manager of Audit Department of ICBC Sydney Branch. Concurrently, she is also non-executive member of the board of directors of some of ICBC group companies. She graduated from Shanxi Finance Institute and received a Master`s degree in Economics. He obtained his undergraduate degree, graduate degree and PhD from Middle East Technical University School of Metallurgy Engineering in 1972, in 1975 and in 1985, respectively. He worked as General Coordinator and Member of the Board of Directors of Çamsan A.Ş. between 1992 and 1994, as a Consultant to the Istanbul Metropolitan Municipality and General Manager Chairman of the Board of Directors of Istanbul Gaz Dağıtım Sanayi ve Ticaret A.Ş. between 1994 and 1996. He was elected and served as Member of Parliament of Ordu between 2002 and 2011and Ministry of Energy and Natural Resources between 2002 and 2009. M. Hilmi Güler has been working as a faculty Member at Bahçeşehir University and serving as Member of the Board of Directors of Dizyn Teknik Boru ve Elemanları Sanayi ve Ticaret A.Ş.. Mr. Güler has been an Independent Member of the Board of Directors of Turkcell İletişim Hizmetleri A.Ş. since 2013. Mehmet Hilmi Güler was appointed as an Independent Member of the Board of Directors and the President of the Corporate Governance Committee of ICBC Turkey on May 22nd 2015.